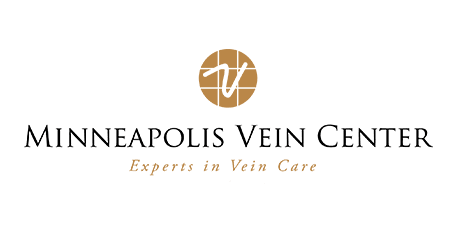 At Minneapolis Vein Center in Plymouth, Minnesota, a team of highly skilled physicians offers state-of-the-art treatment for spider veins and other venous abnormalities, serving the surrounding communities of Minneapolis, St.Paul, and western Wisconsin. If you’re bothered by the aesthetics of spider veins or experience discomfort or other symptoms, schedule an appointment to begin an effective treatment path. Online scheduling is available, making it easier to find a time to fit your busy schedule. Spider veins, also called telangiectasias, are small dilated blood vessels near the surface of the skin and are red or blue in color. You may notice spider veins near your cheeks, nose, and chin, although they can also occur in other areas of your body. Like varicose veins, spider veins occur when the valves in your veins fail to function properly. When blood begins to pool in your veins, your vein walls stretch and become visible through the surface of your skin. Spider veins appear as areas of redness, often with tiny lines running throughout. They often appear in clusters with branching red lines, giving them a spider-like appearance. Are spider veins a serious health problem? For most men and women, spider veins are more of an aesthetic concern than a serious medical problem. That said, any visible sign of venous swelling indicates a problem with your circulatory system. If you suffer from spider veins, the Vein Center doctors are likely to advise you to come in for routine screening appointments to ensure there are no other venous abnormalities. In some cases, spider veins can lead to bleeding or skin ulcers (sores on the surface of the skin). Any time you experience a break in the surface of your skin, there’s a risk of infection, so it’s essential to take skin ulcers seriously. The team at Minneapolis Vein Center understands that looking your best often means feeling your best. That’s why spider vein treatment is one of the many professional services available. Sclerotherapy is an effective treatment for spider veins. The Vein Center provider takes a tiny needle and injects those veins directly. For larger veins under the surface that supply spider veins, they may use ultrasound to treat those veins. That medication creates scarring, which causes the veins to collapse. Your body then directs the blood flow to healthy veins in the surrounding area. Another treatment option is Veinwave™, an innovative technique that removes spider veins on your legs or face. The procedure uses precisely controlled heat to destroy the damaged vein tissue. The process is quick, and there’s no downtime required. Don’t live with unsightly spider veins when there are safe and effective treatment options available. Schedule a consultation with Minneapolis Vein Center today to explore the treatments that can eliminate spider veins and help you look and feel you're very best.